Water Capacity : 150 Gal. 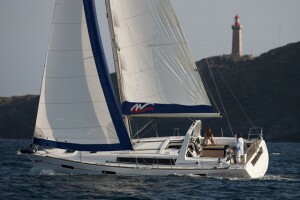 With its incomparable volume and innovative design, The Moorings 42.3 is the heart of the Beneteau Oceanis range. 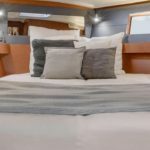 Designed by Finot-Conq architects and Nauta Design, The Moorings 42.3 features three cabins, two bathrooms and plenty of space for you and your family and guests. 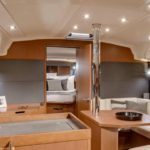 Generous capacities for water and fuel, as well as personal gear and food storage, mean increased comfort and autonomy on the water. 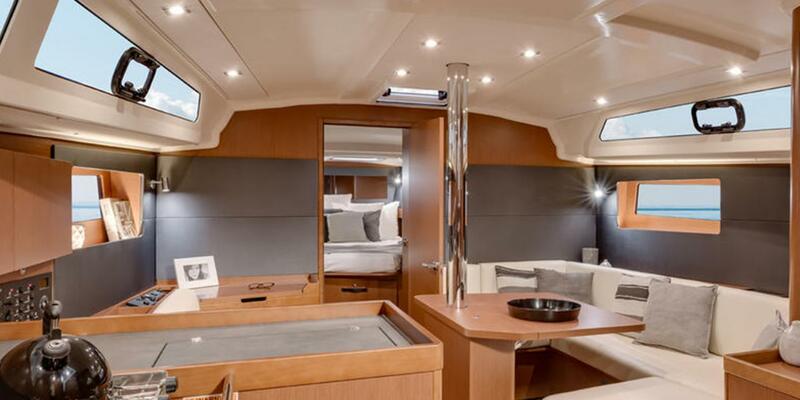 Shore power air conditioning provides additional comfort when docked. 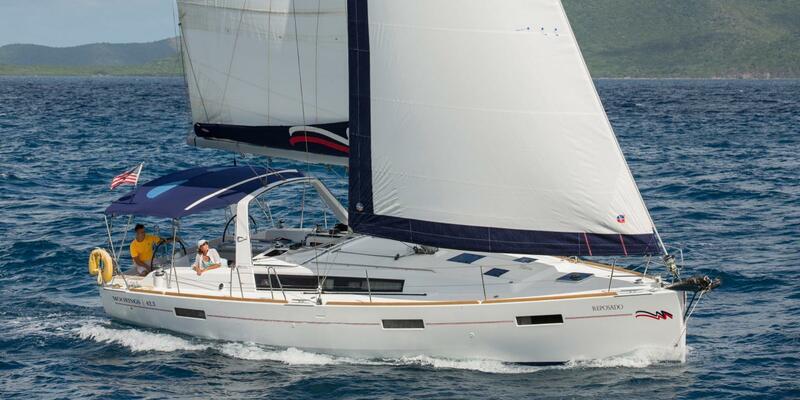 When it comes to performance, the 42.3’s new generation hull promises comfortable, fast sailing in a variety of conditions. 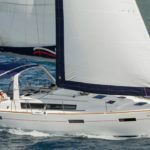 The mainsail arch enables you to sail in complete safety and at the same time gives you more space in the cockpit. 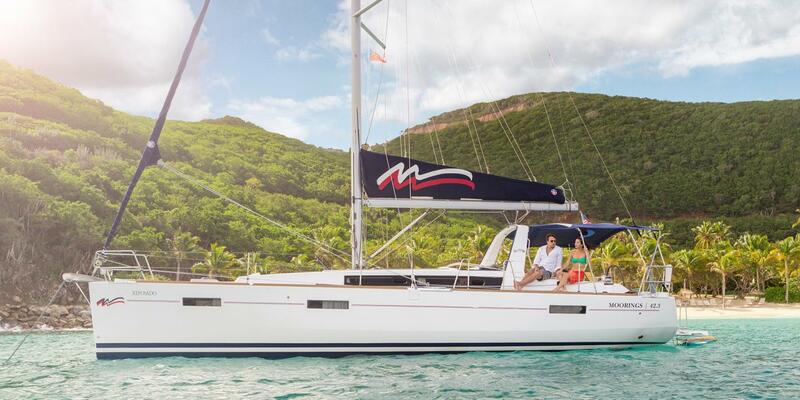 Bring your sailing vacation to life aboard The Moorings 42.3, a high-performance yacht where comfort reigns supreme. 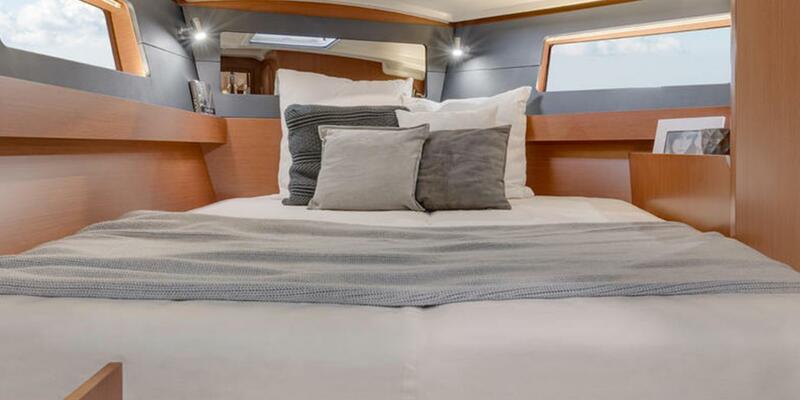 Convertible Saloon: Yes, this yacht has a convertible saloon, which offers sleeping arrangements for up to two guests. 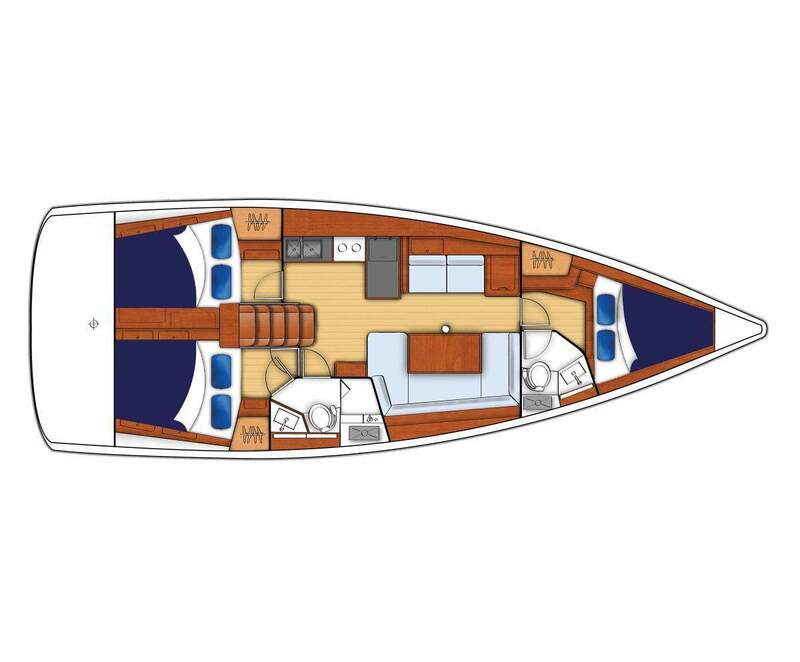 This space is included as a double berth the maximum capacity of your yacht. 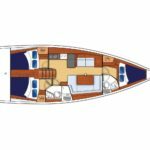 Italy: In our Italy destinations, this yacht model may have different detailed specifications than listed within this page. 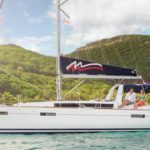 Please call one of our Vacation Planning Specialist for details.